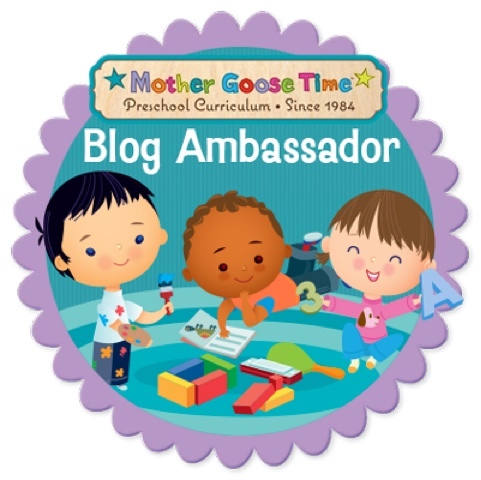 I am so excited to start another year of Dance n' Beats with Mother Goose Time. I truly missed it this summer! 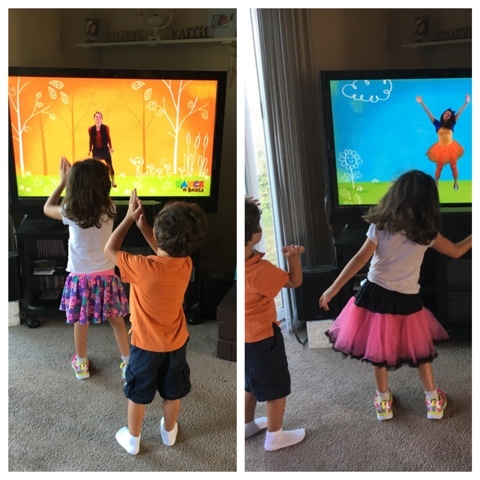 Of course we had the DVD's from this past year, but there is just something special about unwrapping a new DVD and doing dances that correspond to the exact same music that we listen to for our monthly theme CD as well as to our monthly theme that we are studying! This month we our theme is Family. And here is a picture of our new puppy Jack with the DVD. Because who can resist a puppy pic? 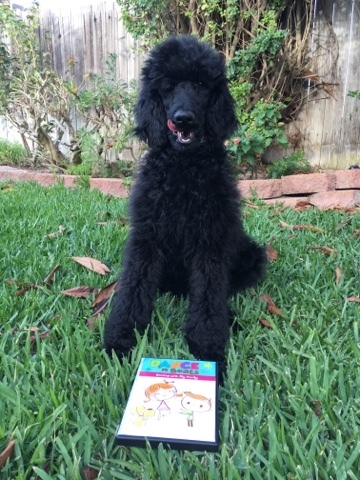 Jack says, "I am a standard poodle and I approve of this program." It comes with thirteen dances, and as I mentioned before, they are the same as the CD that we get in the main MGT curriculum. 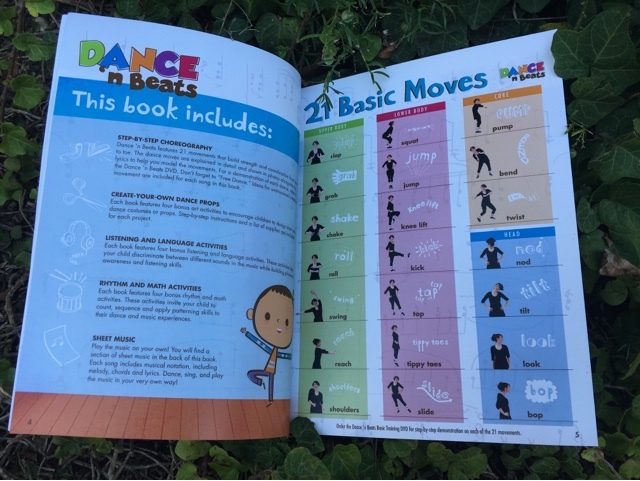 There are twenty-one basic moves that are included in the dances. The names of the moves are written on the screen as they are performed. My kiddos don't read yet, so this isn't helpful to them, but it is to me so that I can call it out. 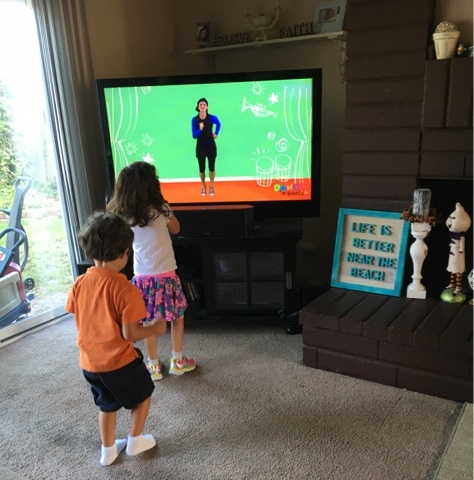 I have to be honest though and tell you that I usually don't call out the moves, or even interact with the kids at all while the DVD is on! It is so beneficial for them to simply focus on mimicking the "teacher's" moves. The guide really does go in-depth with the lyrics and movement of each song. 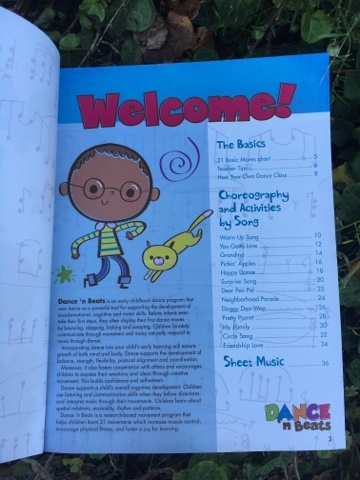 There is also an accompanying lesson for each song. Sometimes they involve art and sometimes more movement. 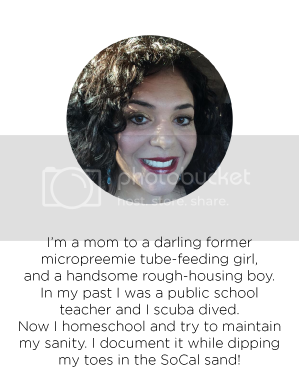 I didn't do any of these last year, as last year was "The Year That Tiny B Taught Herself How to Eat," and I was overwhelmed, but this year, it is definitely a goal for me. 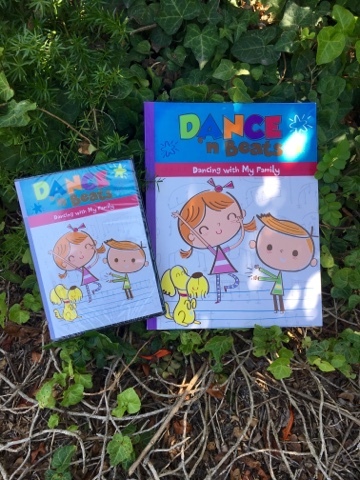 What an amazing way to have the kids have more "buy in" to this dancing program! 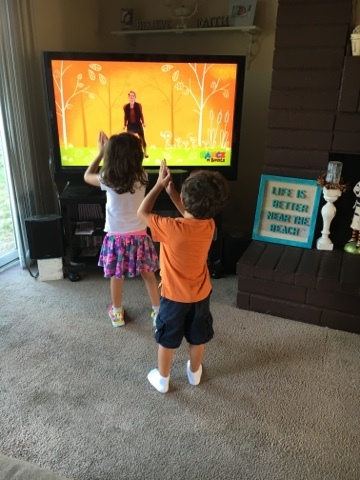 Strong B, who is four, could definitely benefit from these lessons and making the songs "his own" and taking ownership of the concepts/dances/songs/rhythms that are taught. 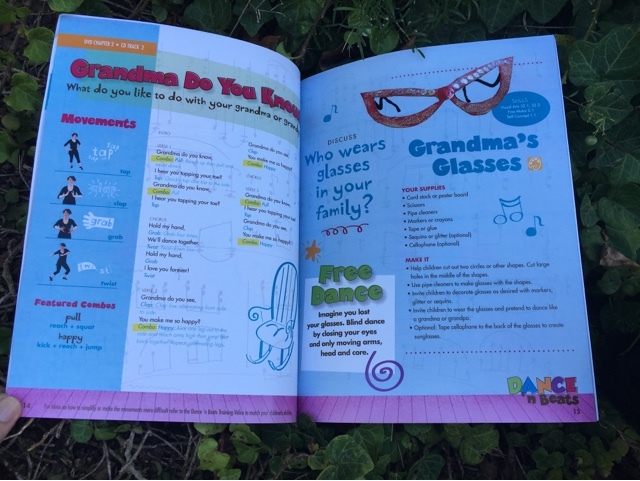 Here are the kids dancing to "Grandma's Glasses" from the page I showed above. 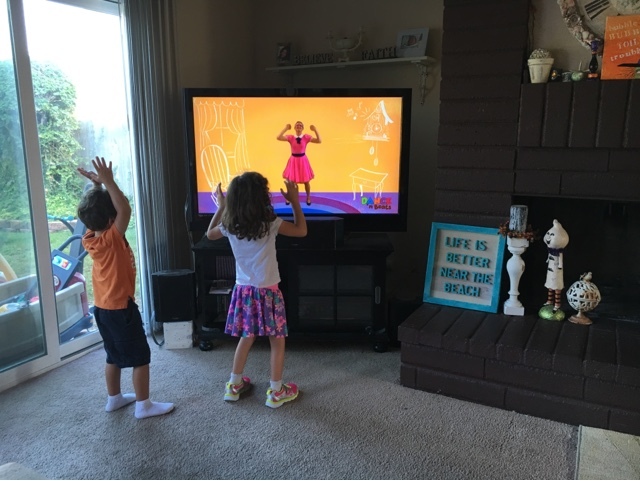 It always starts with the same Warm Up Song which is nice because the kids become really familiar with it. 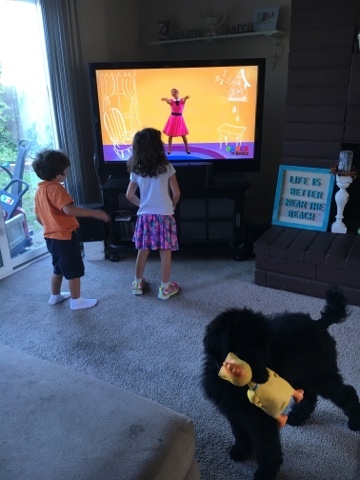 Wait, is that Jack with a rubber chicken? I love the backgrounds in the different songs. This one is very fall-like. I also have to point out that my boy is totally loving this, as he has taken a while to come around to it. We've had other boys over who love it, but Strong B has always only halfway done it or only lasted a few songs. This time he was all in! Maybe turning four helped him in this area. Tiny B was sooooo inspired by the leader's tutu that she insisted on making a mid-performance costume change. 'Tis the life of a performer. She made me pause the DVD. I'm looking forward to watching them do this DVD throughout then month and see how they learn and then master the moves. Then we have next month's DVD to look forward to. This is our second week of homeschooling and I'm feeling pretty good. Tired, but good.